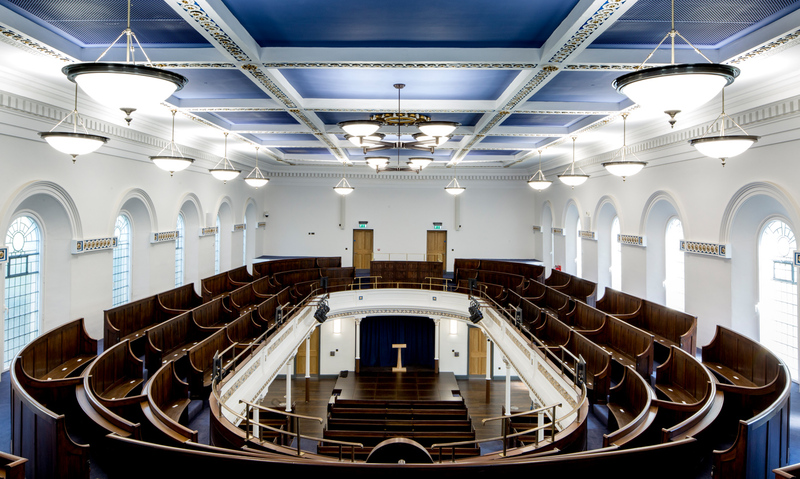 YMD Boon was appointed to provide Architectural Services to design and deliver a scheme for conversion of a grade II listed building into a ceremonial hall for the Nottingham Trent University. 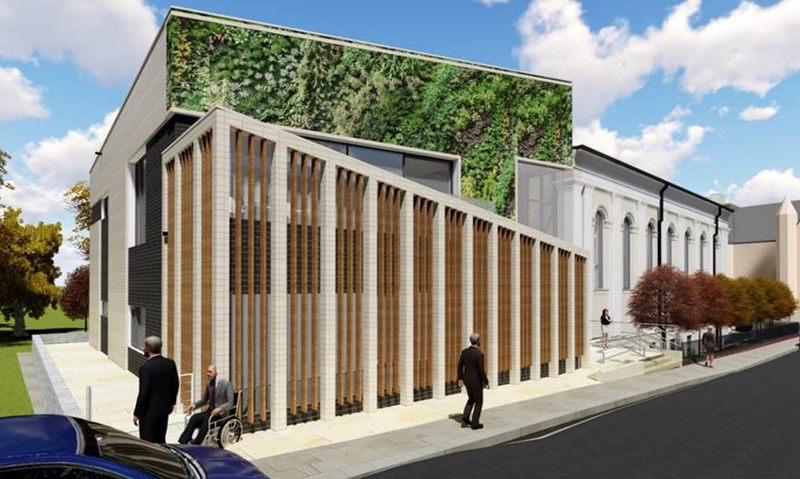 The project also included the demolition of the existing extension and construction of a new music school and a bar and restaurant. 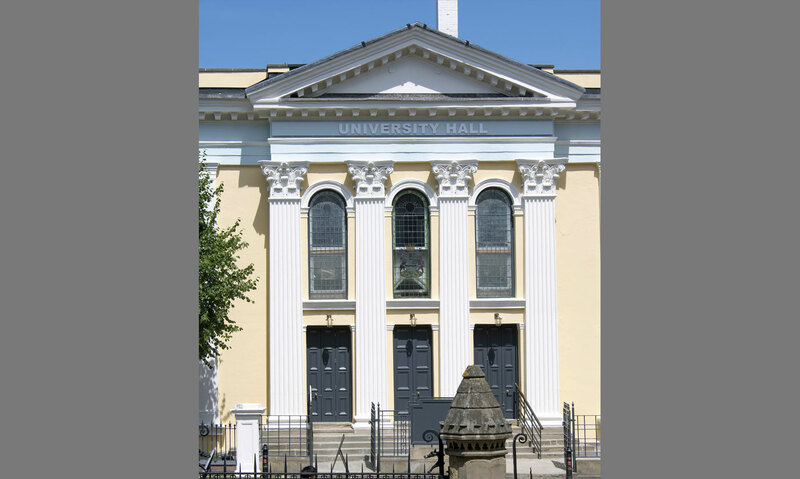 The original building, most recently used as a synagogue, was constructed in 1854 to designs by Thomas Stimpson and a large rear extension was added in 1976. 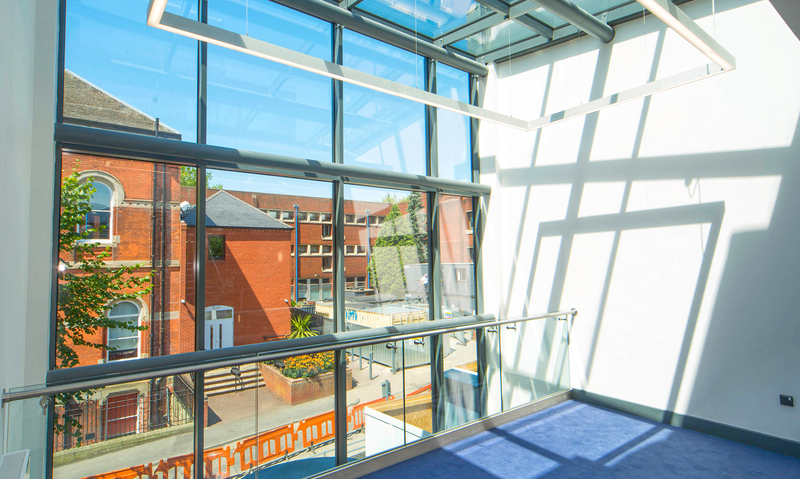 Located on Shakespeare Street in Nottingham city centre, the project represents the first phase of the University’s vision for the site. The conversion required the team to work closely with the planning officer and conservation officer to ensure essential services and restoration had minimum impact but achieved a high-quality result. 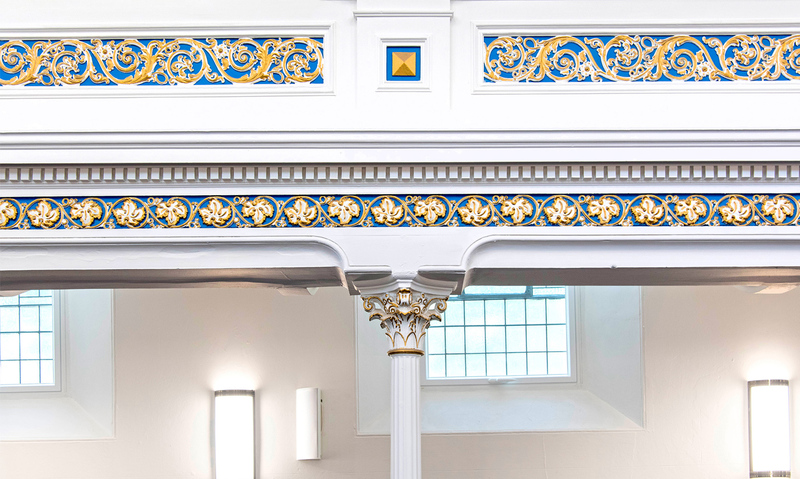 The historic features were restored with respect and modern features carefully integrated to ensure it works perfectly for its prime use as a Graduation Hall. A fixed deadline (July 2018) added to the pressure on the delivery team but working proactively, NTU construction are on course to complete to the programme ensuring time for necessary commissioning and rehearsals. A lightweight predominantly glass structure to the rear provides vertical circulation and is ready to serve the second phase which is due to commence on site immediately after the graduation ceremonies are concluded. 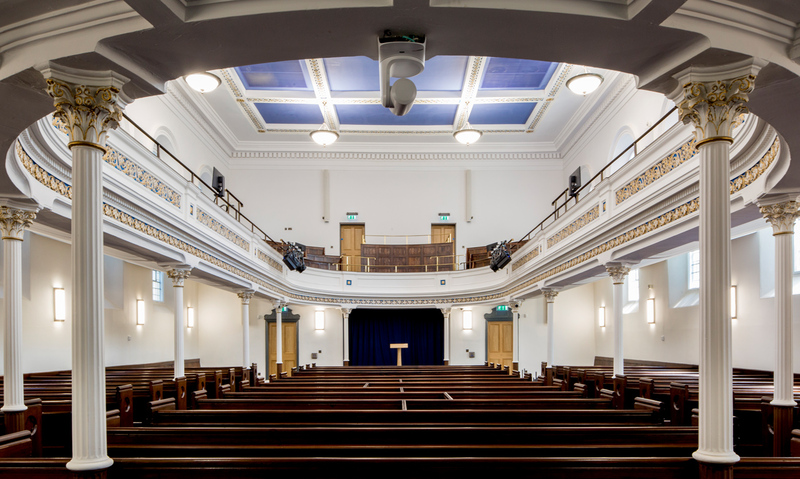 Discreet integration of modern services and equipment plus painstaking restoration have preserved the appeal of the building, retained the charm of the building’s heritage and is sure to inspire graduans passing through for many years. 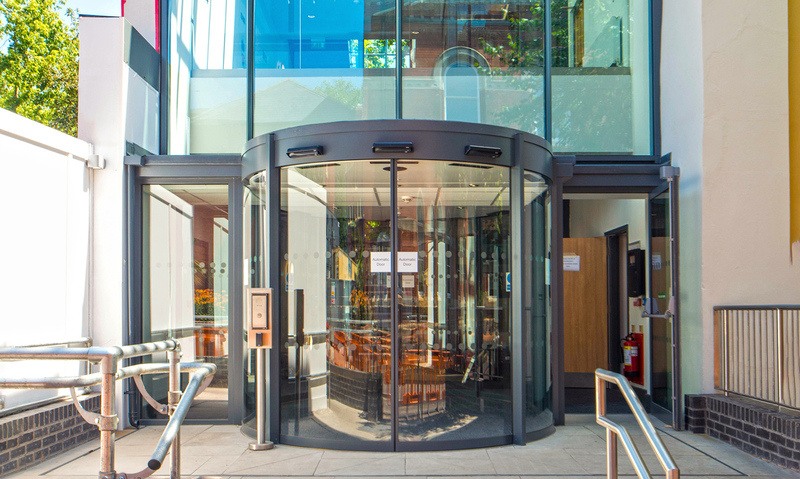 The scheme is on target to achieve BREEAM Excellent rating for the new build and Very Good rating for the refurbishment of the grade II listed building. The project was delivered using BIM (Building Information Modelling). A point cloud survey of the existing building was provided at initial stages. This was converted into a Revit file. We ensured all details are modelled carefully using the 3D software so the proposal could be presented to the Planning Authority and the conservation officer in order to obtain speedy response. It was also used for coordination and clash detection between different packages. The first phase (the conversion and the glazed link) were completed in July 2018 and handed over to the university. The second phase will start on site in September 2018.